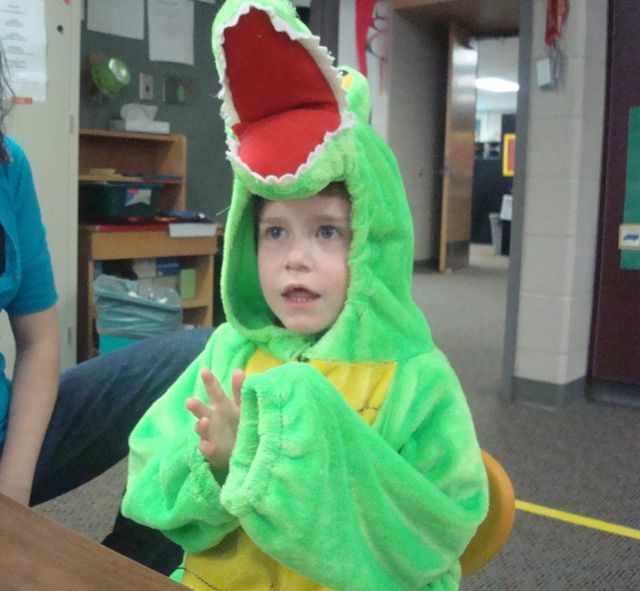 Mason Medlam, 5, drowned July 27 in a pond after wandering from his home near Colwich, Kansas. Mason was non-verbal and had autism. Wandering and drowning are leading causes of death for children with autism, who often have limited communication abilities, impulsive behaviors, and a lack of a sense of danger. 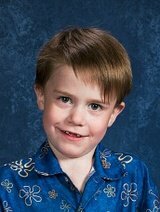 On July 27, 2010, Mason Allen Medlam, a 5-year old non-verbal boy with autism, wandered away from his home near Colwich, Kansas and drowned in a pond. His family has set up the Mason Allen Medlam Foundation for Autism Safety to prevent future deaths due to wandering, which is a major problem among children with autism. The family is advocating for a “Mason Alert” that would provide authorities with a registry about children who are at risk for wandering so they can be found more easily. You can sign their petition here. The federal AMBER Alert is only for children who have been abducted, but the Mason Alert would cover children and adults with autism and other disabilities who are at risk for wandering. The Silver Alert is primarily designed for Alzheimer’s patients. Mason’s mother, Sheila Medlam, spoke in front of the Interagency Autism Coordinating Committee Friday at the National Institutes of Health in Bethesda, Maryland, and told the group, “You have to do something now. Politics shouldn’t be involved. These children, they are gone forever. You don’t have time to wait. You need to do something now.” Members of the National Autism Association also spoke about the problem of wandering and safety. locks. But on this day the temperature was 105 degrees and the air conditioner was broken. Mason got out through a window. A frantic search was unsuccessful and Medlam found Mason drowned in a pond. 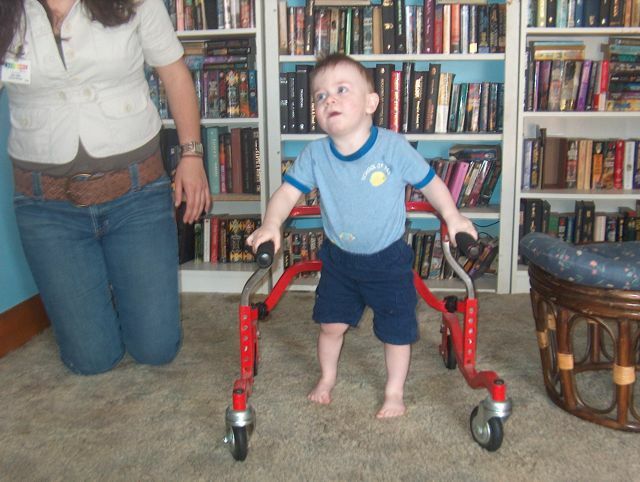 Medlam said a registry would have saved Mason’s life by identifying his attraction to water. Authorities would have likely searched around the nearby pond. Instead, Medlam says, they didn’t take her request seriously. “By the time I pulled him out of the pond, he had only been gone for a few minutes. The police had actually been there for about 15. At any point if they had gone to the pond they could have saved Mason,” Medlam said. After flying in from halfway across the country, Medlam had her presentation cut short, a bit rudely (although surely no disrespect was intended), by the chairman of the committee because of time constraints. She wasn’t in Kansas anymore. Welcome to Washington. But her speech was extraordinary and compelling, and by the end of the meeting the IACC had voted to establish a subcommittee devoted to safety issues. Medlam left the room for a while, and I later caught up with her and interviewed her for Examiner.com. She described what a sheer joy her son was, and talked about her favorite memories of Mason. She told of how he looked at the world as a beautiful place, and how he had no fear of danger. She said when she first got the news that Mason had autism, she was scared. “I thought it was the worst news in the world,” she said. In the three months since Mason’s death, Medlam has worked as an advocate for safety for children with autism. “I want him to save all his brothers and sisters that have the same problems and issues that he had,” she said. Just this year there have been multiple cases of children with autism wandering and drowning. During her presentation, Medlam held up photos of her son and eight other children who died after wandering. The cases below are hauntingly similar. Click here for an article listing earlier deaths of children with autism due to of wandering. The proposed Mason Alert is picking up steam, and Medlam hopes that someday, perhaps soon, law enforcement agencies will create a national registry that would contain not only photos and contact information of people at risk for wandering, but their fascinations, locations of nearby hazards such as pools and ponds, how they react under stress, their communication abilities, and how to approach them. No matter what happens, Mason will go down as a hero for the awareness raised after his tragedy. Click here for the Examiner.com article about autism wandering and the proposed Mason Alert. Click here for a video tribute to Mason. 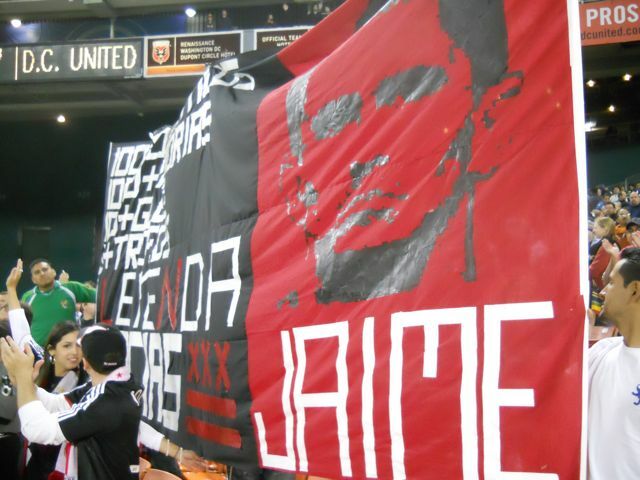 DC United fans hold a banner of Jaime Moreno during his final game at RFK Stadium October 23. Photo by Mike Frandsen. DC United legend Jaime Moreno, one of the best players in the history of MLS, scored in the final game of his career Saturday night at RFK Stadium, but United fell to Toronto FC, 3-2. Moreno finished his illustrious career as MLS’ all-time leading scorer with 133 goals. The Bolivian star is the only player in the history of the league with more than 100 goals and 100 assists. Dusty old RFK rocked the entire game. Redskins fans wish they had a stadium and an atmosphere like this. The noise was loudest when Moreno scored on a penalty kick in the game’s 39th minute. Moreno calmly jogged to the ball and placed it in the right corner of the goal, past goalie Milos Kocic. 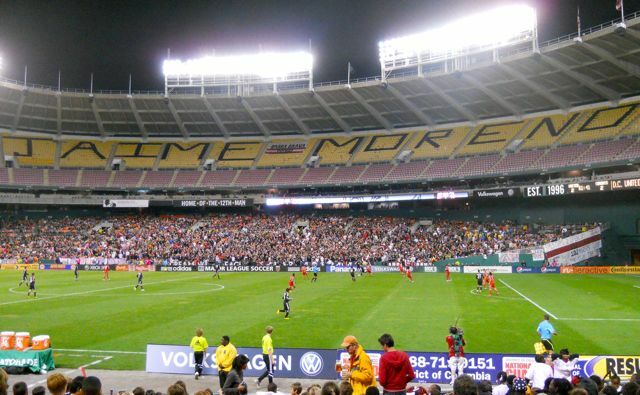 DC United fans celebrated the final game of Jaime Moreno's illustrious career at RFK Stadium October 23. Photo by Mike Frandsen. I hate Dallas so I love to see them lose. But it’s amazing how fans and media care more about image than winning. You never ever heard any criticism of Bill Parcells. He was the ultimate coaching genius, right? His record as Dallas coach? 34-30, with an 0-2 record in the playoffs. Wade Phillips has a record of 34-19, with a record of 1-2 in the playoffs. So Phillips’ record is much, much better than Parcells’ record, yet Phillips gets tons of criticism while Parcells is considered a god. The difference? Press conferences. People like Parcells because he seems like a dictator or a general while Phillips isn’t full of B.S. and self-promotion like Mrs. Doubtfire is. Phillips is honest and straightforward and the media doesn’t like that. They don’t like his personality. They loved Parcells. Again, Phillips is 34-19 with a playoff record of 1-2. Parcells was 34-30 with the Cowboys with a playoff record of 0-2. In fact, Phillips could lose 11 games in a row — every game for the rest of the season, finishing 1-15, and still have the same record the great Parcells had as coach of Dallas (34-30). But at least Phillips won a playoff game. It’s true that Parcells turned the team around after three losing seasons in a row, but Phillips also improved on Parcells. In the NFL, winning doesn’t matter. Michael Vick is 40-28-1 as a starter, but every commentator before this year claimed he was a terrible quarterback, while Jay Cutler, with a career losing record, was considered brilliant before last season. People also hate Vince Young, even though all he does is win. I hate Dallas, but I also like it when people’s opinions are based on facts. You’ll hear a lot of people this season ridicule Phillips and you’ll hear just as many fawn over Parcells because it sounds like Parcells, or Mrs. Doubtfire, the Larry Brown of the NFL, is looking for another team. But just remember that Wade Phillips has been much more successful than Parcells as coach of Dallas, and it’s not even close. Facilitated Communication (FC): the controversy is over. FC is a valid communication method for some people with autism. 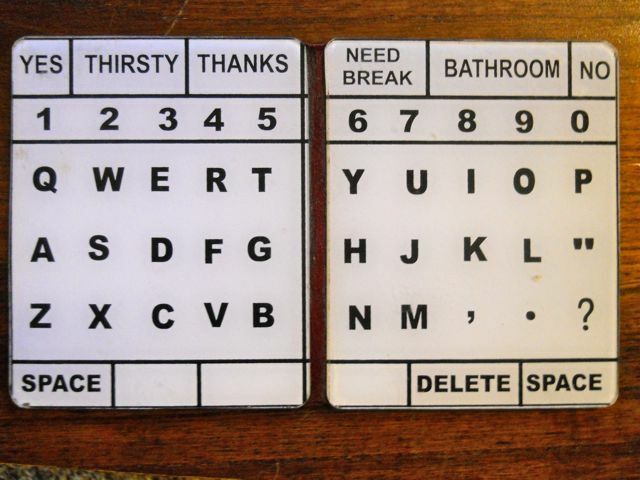 An example of a facilitated communication letter board. Photo by Mike Frandsen. Facilitated communication, or supported typing, has been a godsend for people with autism and other disabilities who are non-verbal or have limited speech, because it enables them to communicate. Here’s an in depth article about FC on Examiner.com. Many people with autism, who were formerly thought of as retarded, have learned to type independently after first learning to communicate through FC. Those people include Chammi Rajapatirana, Sue Rubin, and Jamie Burke. Burke learned to speak the words as he types them. Larry Bissonnette and Tracy Thresher are other FC users who learned to speak the words as they type them. Their story is told in an upcoming documentary, Wretches and Jabberers. Here’s a video of Chammi typing independently. FC is controversial because some studies have concluded that in certain cases the facilitator has led the FC user to letters and words. However, there is a right way and a wrong way to do FC, and if facilitators don’t do the technique correctly, that shouldn’t invalidate the entire method of communication. The Institute on Communication and Inclusion at Syracuse University, the national leader in FC, has published training standards. Many people with autism who have learned to communicate through FC have described the ability to communicate as something that makes life worth living, and they liken it to being freed from prison. Candidates for FC include those who can understand but don’t have verbal communication, and those who need a steadying hand to help them avoid tremor, impulsivity, or help them feel their bodies. FC can include the facilitator’s hand on the typist’s hand, or on his or her shoulder, back, or even leg. The role of emotion is important in FC to encourage the FC user, and studies fail to take those intangible factors into consideration. The facilitator also provides the FC user with verbal feedback. Many people with autism also have movement difficulties. For example, most people would assume that if you ask a person to get up off the couch, and the person doesn’t, then either he must not understand you or he is being non-compliant. But in fact, movement disorders such as apraxia may prevent someone from responding, even though he or she may want to. The bottom line is that a lack of speech does not equate to a lack of intelligence. 1. Many people, formerly called profoundly retarded because of a lack of speech and other difficulties, learned to communicate through FC. 2. Many of those people who first learned to communicate through FC later learned to type independently. (Some of them learned to speak the words as they type them). 3. They would not have learned to type independently had they not first learned through FC. Yet, most of the medical establishment doesn’t approve of FC, meaning that they would rather have these people not communicate at all rather than through FC. For some people, FC is their only hope of communicating. Imagine how many people are living lives of isolation, who are intelligent yet presumed to be retarded, and who are not given a chance to communicate. Click here for the article on Examiner.com. Has the Undertaker returned to D.C. sportsradio? The call came in to the Mike Wise and Holden Kushner show on 106.7 the Fan shortly after 11 a.m. today. The voice was deep, a little gravelly, and sounded familiar. The caller’s voice was close to the phone, and he talked in sort of an authoritative monotone. Dave from D.C. called in to say Randy Moss was past his prime after his trade to the Vikings and also said the Redskins need to build with youth. When was the last time the Skins had two young players like Ryan Torain and Brandon Banks? the caller asked. Wise said it was a good call. Could this have been the Undertaker calling? The same guy who called Sportsradio WTEM all the time in the early 1990s but then mysteriously stopped a few years later soon after they mandated no more calls from people with nicknames? (WTEM was then called the “team.” It was 570 on the AM dial. Now it’s “ESPN 980”). I have analyzed the call on the podcast, and my conclusion is that this was the Undertaker. The Undertaker doesn’t ask you a question – he tells you the way it is, then you react to it. Kushner tried to shut him down, but you don’t shut down the Undertaker. Later in the day, I heard Doc Walker on WTEM talking about the Undertaker but he was referring to Caps GM George McPhee. Quite a coincidence, but the real Undertaker had called 106.7 the Fan that morning. Here’s hoping the Undertaker is back and he keeps calling both stations. Maybe he has been back and I just haven’t been listening that much. Two weeks ago I noticed a commercial starring Donovan McNabb and Alexander Ovechkin. It’s about Ovie moving McNabb’s stuff into town. The problem is that at the beginning of the commercial the moving van says “Ole’s Moving Company” instead of “Ovie’s.” They misspelled the name of the best player in Caps’ history. I can just imagine the ad person who did the ad. Would you do that to LeBron James? He probably remembered “Olie” in the back of his mind from Olie Kolzig being the Caps’ most popular player for several years. Anyway, it’s an inexcusable mistake. I just assumed they would redo the commercial – they should have been able to redo the first two seconds of it. So people should boycott Capital One Bank. Also, their logo and the font on their signs looks amateurish and bad. Chevy Chase had a nice local feel to it. I talked to someone who worked for Capital One and she said since they have primarily been a credit card company, they’ve been scrambling to hire people who know mortgages and banking, etc. The U.S. government has said it is sorry for using prostitutes to infect prison inmates in Guatemala with syphilis in the 1940s. Researchers were testing how effective penicillin was in treating syphilis. It’s an example of the government sacrificing people for the health of the entire herd. The medical establishment’s research on and treatment of syphilis has a strange history. Between 1932 and 1972, the U.S. government experimented on 400 poor black men from Alabama who had syphilis. This became known as the Tuskegee Experiment. The men were never told they had syphilis and were not given penicillin, the standard treatment for the disease. Many of the men died from the disease or from complications of it, while some of the men gave the disease to their wives and had children with congenital syphilis. From the late 15th century for several hundred years, mercury, one of the most toxic substances in the world, was used by doctors as a treatment for syphilis in Europe and then in the U.S. While mercury killed bacteria, it had serious, often deadly side effects. The use of mercury to treat syphilis in the past is explored by authors Dan Olmsted and Mark Blaxill in their new book, Age of Autism: Mercury, Medicine, and a Man-made Epidemic. Olmsted, an award-winning journalist, and Blaxill, a Harvard-educated parent of a child with autism, discuss mercury in medicine, vaccines, pesticides, and fish, and the element’s toxic effects on humans. They describe how the medical establishment has used mercury to treat ailments, but ignored its side effects, which often mimic autism. I interviewed Olmsted and Blaxill for Examiner.com last month. Here are some excerpts from the interview about mercury and syphilis, as syphilis is back in the news. Click here for the whole interview. Mike Frandsen: You trace the medical establishment’s use of mercury to treat illnesses in the last several centuries. Why did doctors continue to use mercury even after they discovered it was toxic? Dan Olmsted: I think one answer to that is that it seemed to work when nothing else really did. Mercury is a biologically active compound. If you have sores on your body, which you would get from syphilis, and you rub a mercury salve on it, the sores would clear up and seemingly that was a good thing. Unfortunately, the side effects were longer to show up and more obscure. And what we see is a pattern where because it seemed to be useful to doctors in treating desperate patients, they would do it for a while and then when a better treatment came along they would quit using it and never look back and realize or acknowledge that they might have been killing people by the thousands even as they were treating them. It just kind of kept going, where we are still at a point where although we wouldn’t use arsenic or plutonium or lead or any toxic compound in medicine or as medicine, we still use mercury. And it has gotten a free pass for several hundred years and that we think really needs to stop. Mercury was used to treat syphilis for hundreds of years. What happened to those patients? Mark Blaxill: Mercury was used from the beginning of the syphilis epidemic in Europe from the late 15th century. Mercury was used as an ointment, a skin treatment, but over time, the idea was to try to get mercury closer to the infection or the site of the infection and not just on the skin. In the 1700s and 1800s people first started the practice of internal administration of mercury, specifically mercuric chloride, and doctors first began encouraging patients to drink it, and then not longer after, they started injecting mercuric chloride into syphilis patients. Interestingly enough, when they started this internal administration approach to treating syphilis, a new, invariably fatal form of neurosyphilis, brain syphilis, began to emerge as well, something called general paralysis of the insane (GPI). These patients would go stock raving mad, wild and crazy with delusions and they would generally die quite quickly. These cases of GPI occurred in places where mercury treatments were common, and where the practice of treating patients with mercury chloride and mercury in general was not used, you would never see these cases of GPI. If mercury is one of the causes of autism, and syphilis patients and children given teething powders were exposed to mercury, why didn’t they get autism? Mark Blaxill: Syphilis patients were adults and so the exposure they had to mercury came much later in life. Autism is really a neurodevelopmental disease and it occurs in children very early in life. Once your brain is fully developed the exposure to mercury won’t have the same kind of effect.